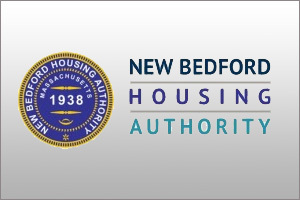 Beginning in January 2014, all of the New Bedford Housing Authority’s properties have gone smoke-free. Ahead of the curve with DHCD’s recommendation that PHA’s in Massachusetts go smoke-free in April of 2014, the NBHA began to implement smoke free policies in January of 2013 by informing all residents of the policy during the annual re-certification process. The NBHA is a proud partner with Voices for a Healthy Southcoast, a group led by the Southcoast YMCA and Southcoast Health System. The group is implementing the SouthCoast Healthy Housing and Workplace Initiative. SCHHWI is a no-smoking initiative that will improve the health and safety of residents of the South Coast. By the NBHA going smoke-free, we will be improving the health and quality of life for our residents. Smoking is no longer allowed in apartments, including, but not limited to, community rooms, community bathrooms, lobbies, reception areas, hallways, laundry rooms, stairways, offices, and elevators. In addition, no smoking is allowed within a specified distance from building(s), as determined by the Property Manager, including entryways, porches, balconies, and patios. In a recent survey, Housing Authority residents overwhelmingly supported going smoke-free. In addition to the health benefits of going smoke-free, by not smoking inside units will aid in reducing the cost of renovating units during turnover and reducing vacancy turn around time, allowing NBHA to better utilize funds and personnel. For those residents that wish to stop smoking, the NBHA has created a support system to help in this endeavor. The NBHA has a wellness educator, Jaime Berberena of YMCA SouthCoast, working with our residents throughout the city. Jaime can be reached at 508-997-4829 Ext 135 and through email jberberena@ymcasouthcoast.org.